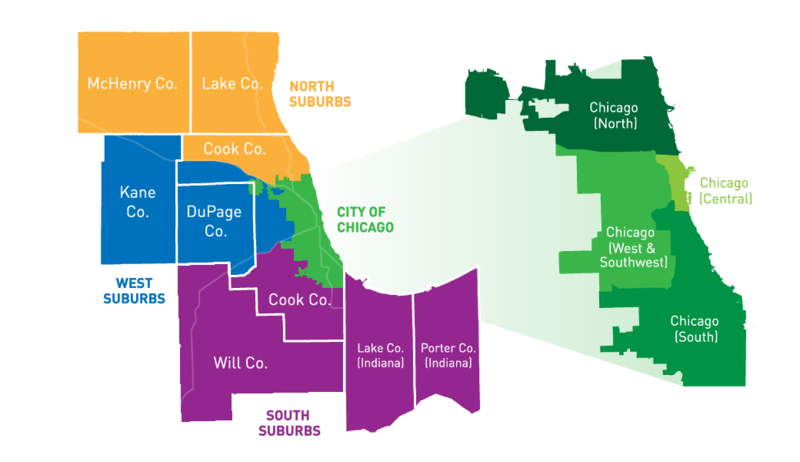 We work for clean, healthy transportation throughout Chicagoland. See what we're doing in your community. When it comes to making our streets safer and better for walking, biking, and public transit, change starts from the ground up. Active Trans works with community leaders throughout the region to support grassroots action to drive our mission forward. And we need your help. 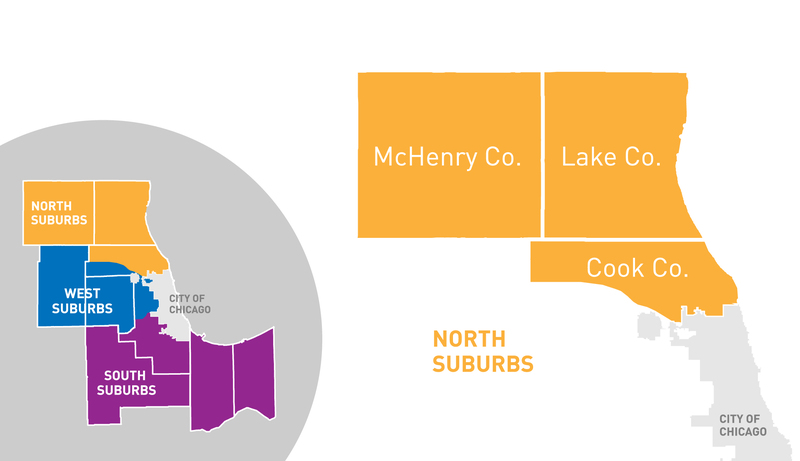 Click on the map below to find out about grassroots advocacy happening in your neck of the woods and how to connect with other local leaders. 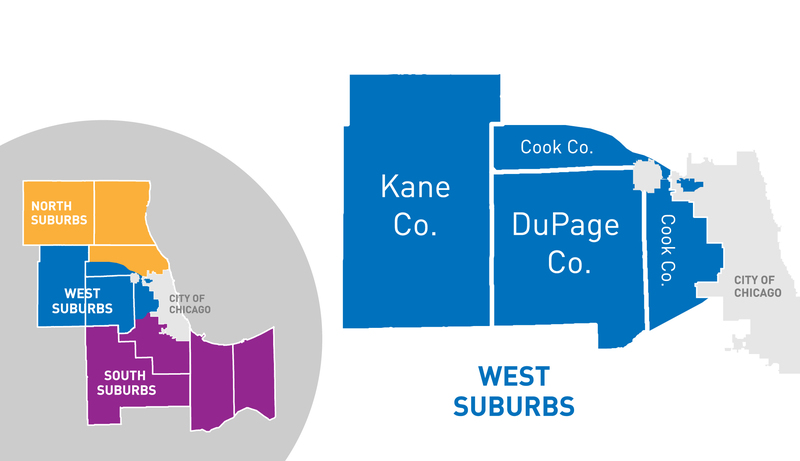 Your local active transportation news in the West Suburbs — October Bike Walk Every Town Summit, Suburban Bikeways for All report, better trail connections in DuPage County, first-grade transportation advocates, and more! 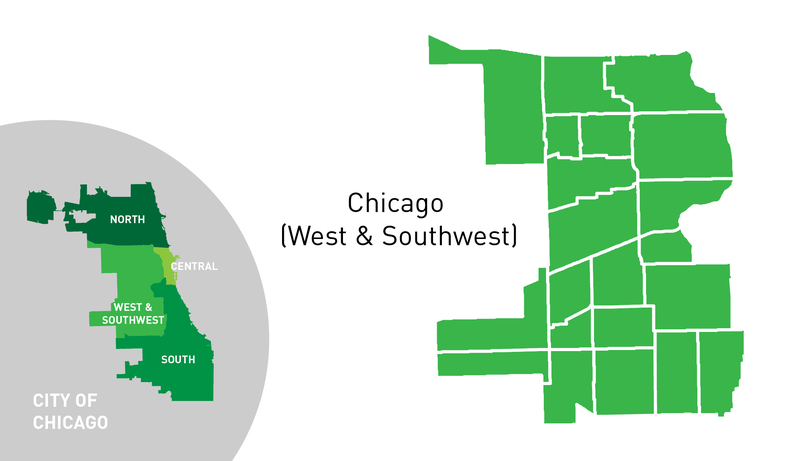 Your local active transportation news in the South Suburbs — Oct 28 Bike Walk Every Town Summit, Suburban Bikeways for All report, first-grade transportation advocates in Summit, Metra Electra service cut updates, and more! 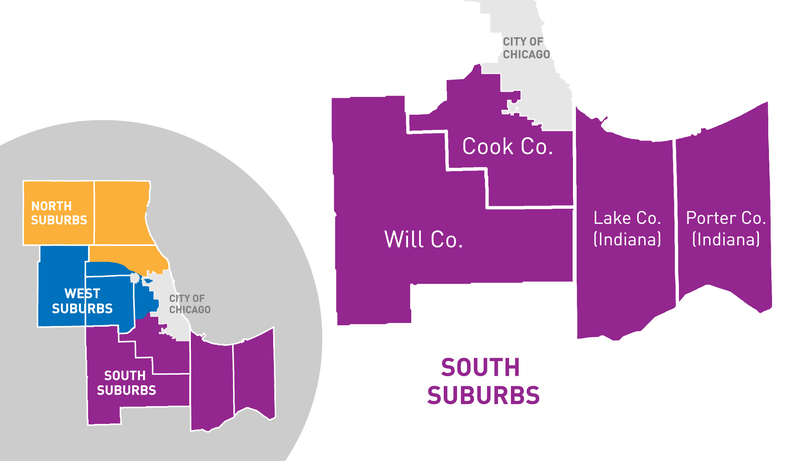 Your local active transportation news in the North Suburbs — Bike Walk Every Town suburban advocacy program launch, Suburban Bikeways for All report released, Route 53 extension impacts, new protected bike lanes in Evanston, Pace Pulse coming to Dempster Street, Pop-up complete streets and more! 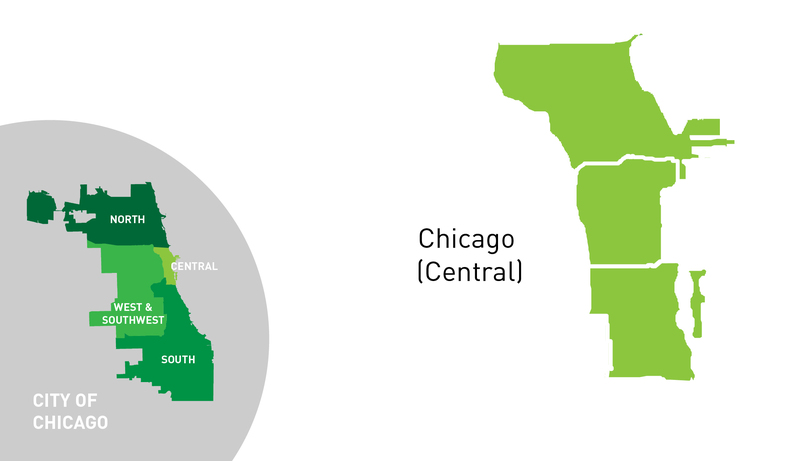 As one of the largest central business districts in the world, Chicago’s downtown is also home to thousands of residents who are passionate about making it safe and easy to walk, bike, and use transit in their neighborhoods. 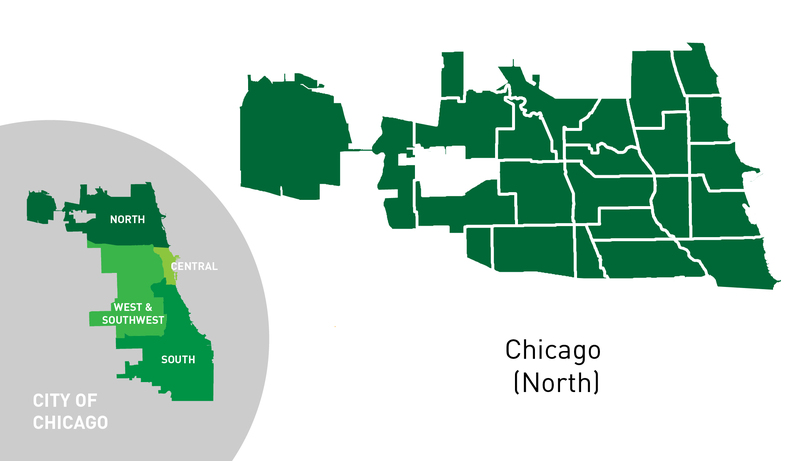 Your local active transportation news in West and Southwest Chicago — Vision Zero West Side outreach wraps up, racial disparity in bike ticketing persists, and outreach continues for the Chicago River Trail campaign along the South Branch and more! 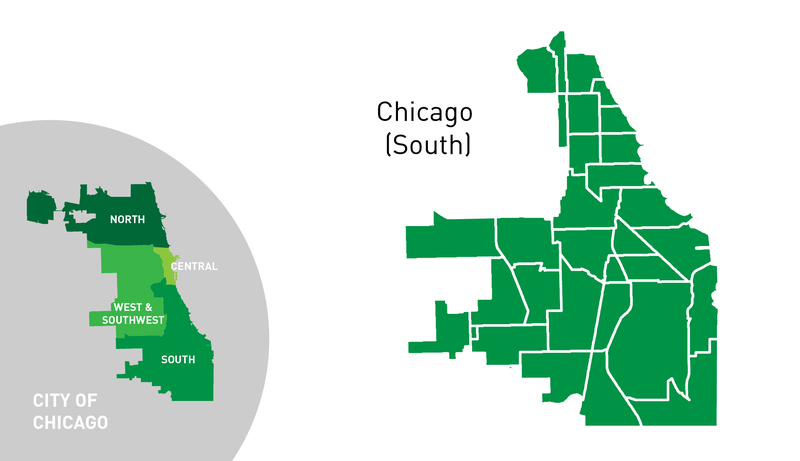 Your local active transportation news in South Chicago — Red Line Extension route proposed, racial disparity in bike ticketing persists, Divvy pricing structure changes, and more! Your local active transportation news in North Chicago — Speeding up Chicago’s buses report released, 312 RiverRun Trail construction has begun, Chicago River Trail Coalition launch, major renovation of Milwaukee Ave. coming to Logan Square, residents working to improve biking and walking on the Northwest Side and more! 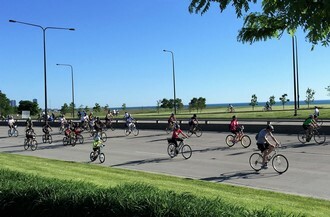 Experience one of the best bike rides in the world on the Sunday of Memorial Day weekend, when people on two wheels take over Chicago’s Lake Shore Drive for Fifth Third Bike the Drive.